WIDE ANGLE sat down with Lynn Freedman and Helen de Pinho from Columbia University’s Mailman School of Public Health. They work with developing countries and international agencies to improve availability and quality of emergency obstetric care for women in childbirth. Click below to listen to a discussion about the causes of maternal death, the importance of maternal health and the progress that is being made in Mozambique and around the world now that this issue is on the international development agenda. 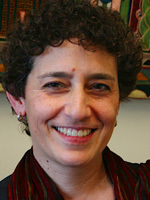 Lynn Freedman is a human rights attorney and the Director of AMDD, Averting Maternal Death and Disability. 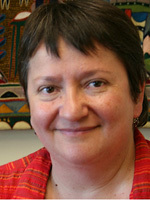 Helen de Pinho is a physician from South Africa who works with AMDD. She recently traveled to Mozambique to meet with mid-level medical providers there. LYNN FREEDMAN: Women everywhere in the world who die in childbirth die from basically the same set of causes. Mostly direct obstetric causes—things like bleeding, or hemorrhaging, infection, obstructed labor. We know the medical interventions that will save a woman’s life if she has one of those complications. The big, big issue is getting those medical interventions to the women who need them, and so that’s where the big challenge comes in—ensuring that women in remote rural areas, women who perhaps don’t have the money to get to a facility much less get into the facility, pay for the services. To make sure women in that position get access to life-saving care. There’s no question that the current number of surgeons and surgical technicians in Mozambique cannot meet the enormous need for emergency obstetric care. HELEN DE PINHO: There are 26 obstetricians in Mozambique. Fourteen of them are in the central hospital in Maputo, and I think only about three or four or five are actually out in the rural area, so that gives you an idea of distribution and numbers. And a similar kind of distribution pattern for surgeons in Mozambique. The role of the non-physician clinician has always been there in many of these countries; that’s not new. The surgical midwife, yes, that is new. And that will change, but what that would do is strengthen what’s already happening. It doesn’t shift…it doesn’t displace doctors in any way, because they’re just simply not there. WIDE ANGLE: Lynn, you mentioned that there’s this new energy about addressing maternal mortality. Can you speak about this new energy, where it’s come from, and why now? LYNN FREEDMAN: Well, I think maternal mortality has…has certainly risen to the top of the development agenda, helped enormously by the fact that it is one of the Millennium Development Goals. The Millennium Development Goals are a set of eight goals that the U.N. general assembly passed at the turn of the millennium in the year 2000 to guide poverty reduction efforts in the world in the coming millennium, or at least the coming 15 years. But they also include three health goals. One is HIV, TB and Malaria. Another is to reduce child mortality. And MDG 5 is to improve maternal health with two goals: one is to reduce maternal mortality by 75% and the second target under improved maternal health is to have universal access to reproductive health services. So that has put maternal mortality itself on the health and development agenda. HELEN DE PINHO: …if I can just talk to what’s happening in Mozambique at that. What we see is first of all very high-level commitment to reducing maternal mortality. And then also to—recognizing the sort of continuum of care, from when the woman first becomes pregnant or even before she comes pregnant, to make sure that –that young girls are adequately fed, that—that they are nutritionally well—well-nourished. That there is family planning accessible. The policies are good, they’re there. And now it’s a matter of actually getting them implemented in all the areas. WIDE ANGLE: How will that later affect the health of the entire system? LYNN FREEDMAN: Well, there’s no question that a huge proportion of newborn deaths are actually attributable to the things that happen during pregnancy and delivery. We certainly want to make sure we pay attention to and care about the woman herself and her survival. But, we also acknowledge that the survival and life of a newborn is very closely linked to what happens to the mother and indeed, the life, well-being and survival of the rest of her family, not just thethe baby she’s giving birth to right then. The ramifications of maternal death or maternal survival go well beyond just her children. It’s her family, it’s her community, it’s productive work for the country, and it’s her own right to be a participating member for society. WIDE ANGLE: Thank you Lynn, and thank you, Helen. HELEN DE PINHO: It is a pleasure, thank you.